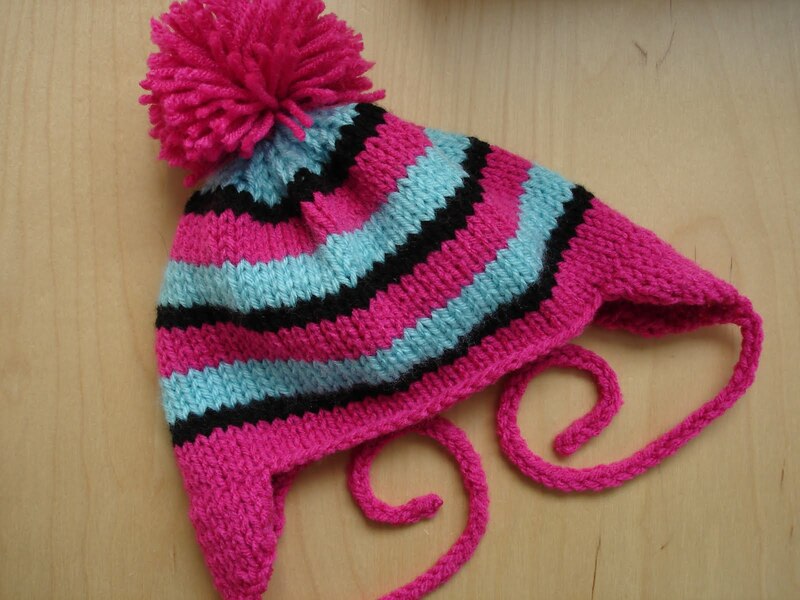 Rock Candy is a funky, adorable little hat that knits up quickly. It is perfect for your little ones who won't keep a hat on. 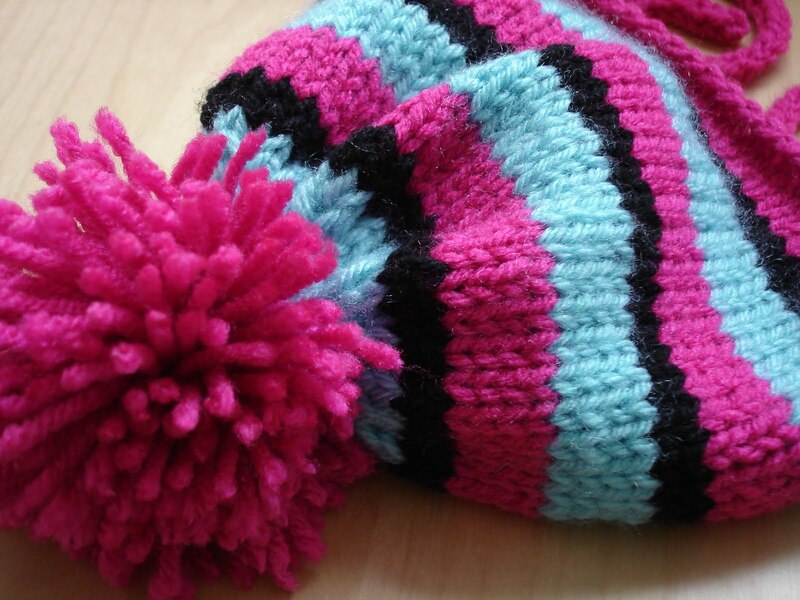 Feel free to customize hat with multitude of colors, or knit in a favorite solid color. CO 70 sts using color A, PM. Pattern is for personal and non-profit use only. I love this hat!! Can you modify the pattern for me so that it will fit my 4, 3, and 2 year old? Sure, I'll update it soon! Thanks!! Great hat but need it for 10 year olds. Thanks Sandra! I have had some other folks ask for this hat in more sizes...I'm fiddling with the pattern and sizing now and plan to update it in the near future...thanks for the suggestion! I love the colors you've used! And how simple! I always wondered where to place the ear flaps on this kind of hat. Never knew you could just fold it in half. Thank you! Are you going to post some bigger sizes soon? I would love to make this for my grand son. Thank you! 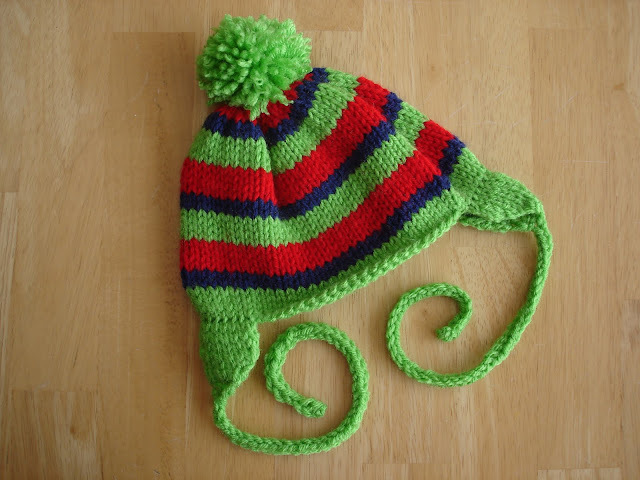 I would LOVE to make this hat for my two sons. One is a newborn and the other is 2. I can't wait for the updated sizes for this pattern! I love this hat! Thanks for sharing! I have trouble dowenloading these patterns. What do I hit to download. really love this pattern. would really like alterations for older children and adults. Thanks! Yes! Multiple sizes would be great! Thank you so much for your sweet words! Congratulations to you and your family! Sounds like it will be baby central! :) Lots of knitting to be done! To make it flat, instead of knitting all rounds, just alternate knit, purl, knit, purl, etc. (on the decrease section as well) and when you are finished, just seam up the back with a tapestry needle. The earflaps would be the same, they are knit flat in the instructions. Please let me know if you have any other questions, and happy knitting to you! 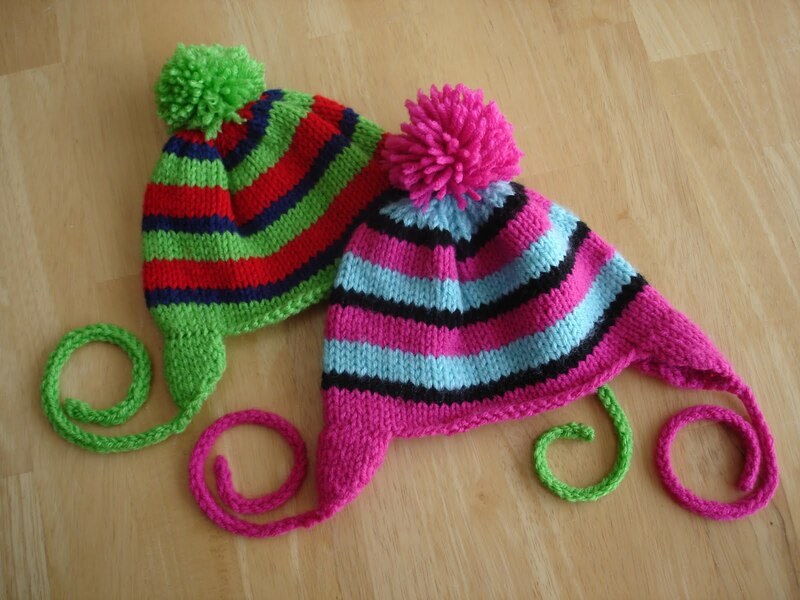 These would look so cute on the littlest ones...happy knitting! Is the gauge listed correctly? I wonder if it should say 17 rows and 24 stitches. I can't get it to come out right and my other baby hat patterns have more stitches than rows listed in the gauge. I am having trouble getting the toddler size through the link. Please help.